Brett Reckless is an award winning tattoo artist and a graphic designer. 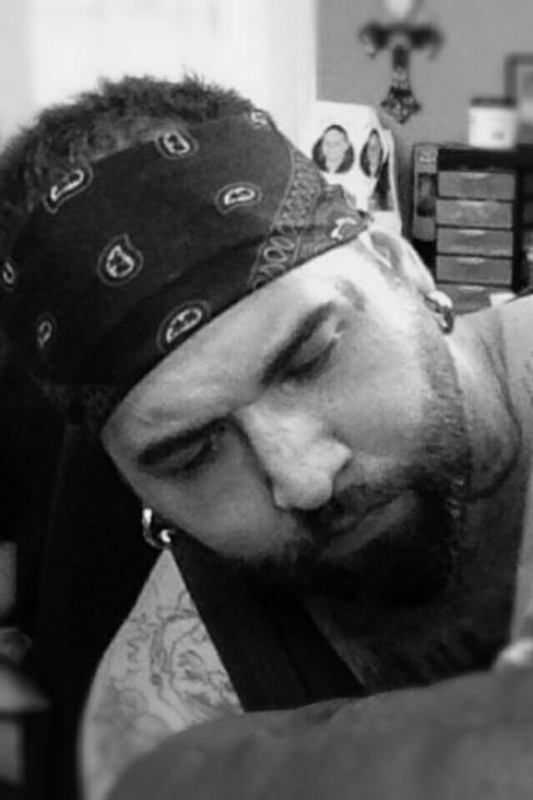 Brett originates from Hanover PA, and has worked and owned Comfortably Numb Tattoo Studio in Littlestown and at the former Kyatic Tat2, Center Square in Hanover, PA and Kyatic Tattoo in Littlestown, PA. Brett has been tattooing since 2008 and has quickly become a premier artist in the local area. Specializing in custom designs, portraits, greywash and vibrant color. In October of 2016 Brett joined the team of Gypsy Skull Tattoo bringing his expertise to the studio. Outside of tattooing he works on his side project, Reckless Design, an advertising design company concentrating on creating logos, business cards, and banners. Brett also enjoys drawing, painting, shooting darts, music, dirt track racing, and spending time with his three daughters, Braelynn, Brooklynn and Rielynn.